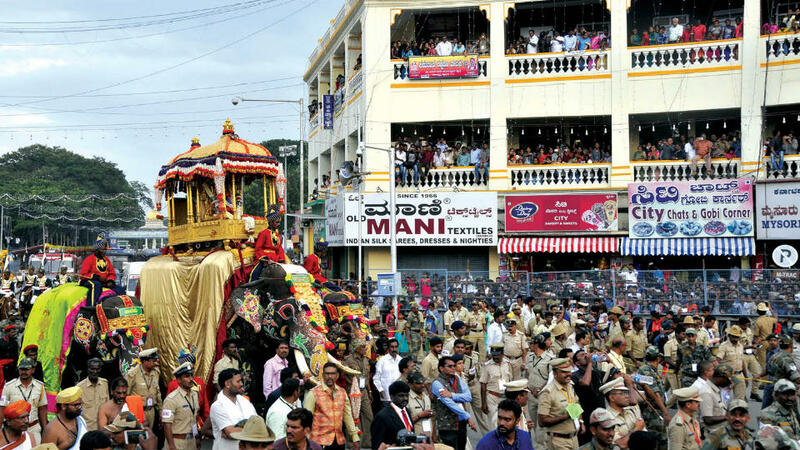 Mysuru: Despite Mysuru City Corporation (MCC) issuing a strict warning to people not to climb on heritage and old structures to witness Jamboo Savari, people could be seen on many such buildings along the Raja Marga, the route of the procession yesterday. Concerned by the dilapidated state of buildings along the Jumboo Savari route, the MCC Commissioner had issued a directive to people not to climb the heritage structures on Sayyaji Rao Road on the day of the procession. This order applied to both government and private buildings and it stated that at no point, people will be allowed to climb the structures, especially during the time of the procession. The order was issued under Karnataka Municipality Act 1976 Sections 322 (1) and 3. Police were seen trying to convince people to get down from the buildings. 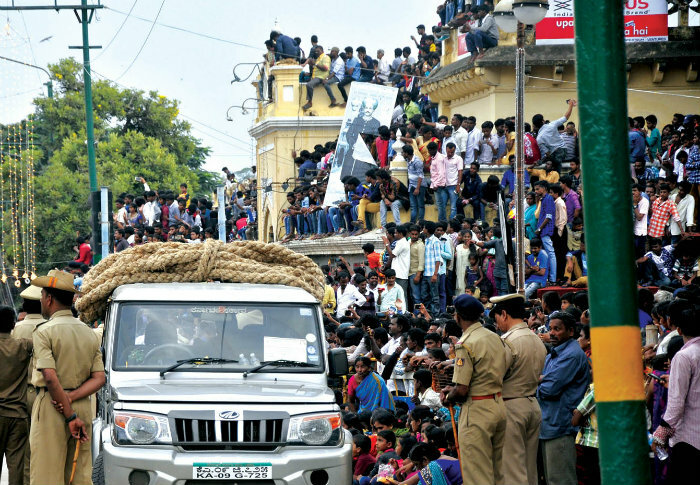 Besides, people also climbed on to trees to get a glimpse of the Jamboo Savari. People were seen even on the dilapidated and partially collapsed Devaraja Market building. No streetlights: Meanwhile, many spectators were disappointed as they missed the opportunity to get a glimpse of the Dasara procession due to darkness. By the time the procession reached Highway Circle, it was almost dark and there were no streetlights there. Even a few tableaux had to be stopped near the circle due to darkness. People gathered there were seen blaming the MCC and the authorities concerned for the lapses. Traffic chaos: The four-lane Mysuru-Bengaluru Highway witnessed traffic chaos yesterday, thanks to thousands of vehicles plying on both the sides. According to tourists, cabs, including SUVs, are taking up to six hours to reach Mysuru from Bengaluru. The normal travel time is around three hours. According to tourists who started arriving in Mysuru, there were traffic jams in many places. Due to rain in Ramanagaram and Mandya, cabbies found driving difficult. After Srirangapatna, the traffic density was very high.